Chorley is the Conservative's top target in the North West - four net gains would see David Cameron's first North West victory ousting Labour. They need to win seats from Labour, the Lib Dems and an Independent. The dramatic defeat in 2004 of the leader of Blackburn with Darwen authority, who was also election agent to Jack Straw, is still fresh in mind. Labour are the largest party on the hung Preston council, which has a large number of Tory and Lib Dem councillors. George Galloway's Respect Party has its only North West representation here and is fielding five candidates. In the wake of the Iraq war, the defeat of the respected council leader, Sir Bill Taylor, (election agent to Foreign Secretary and Blackburn MP Mr Straw), provoked claims that some Labour councillors had conspired in his downfall. This led to a temporary breakaway by a group of councillors, which threatened Labour control of the authority for some weeks. The personal intervention of Jack Straw heeled the wounds and has allowed a Labour administration with a small majority to remain in office. But it is a fragile hold on power, and much will depend on the fallout from the recent visit to the area by the United States Secretary of State, Condoleezza Rice. The Conservatives are the main opposition with 17 councillors and the Lib Dems have 11. 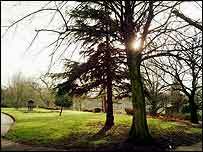 Burnley was another council to face a period of uncertainty after the last elections here in 2004. Labour lost overall control to a complex opposition comprising Liberal Democrats, British National Party, Conservative and Independent councillors. The Chief Executive had to run things until eventually Labour assumed minority control. Recent predictions that the BNP will do well in these elections in East London, has provoked speculation about their performance in Burnley where they have been a fixture on the council for four years now. Hyndburn is a rare council, for having no Lib Dems means that power fluctuates dramatically here. The Conservatives have a one seat lead over Labour at the moment. 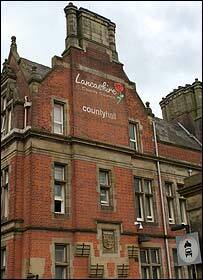 In other Lancashire councils, the Lib Dems look safe in Pendle this year. The Conservatives look safe in Rossendale and West Lancashire. There are no elections this year for North Lancashire councils like Fylde, Wyre and Lancaster, nor for the unitary authority of Blackpool.